Doug comes to Abby-Farm with a degree from Wilkes College in Public Relations and Communications and a minor in Business. 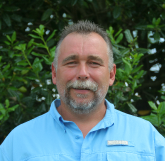 Doug has been in the Green industry within the field of Horticulture for 26 years along with being an ISA Arborist for the past 13 years working the East coast from Florida to New York. He brings with him experience in every aspect of this industry, from growing to sales/sales management that includes experience purchasing trees and shrubs. Doug is passionate about this industry and every aspect of working with customers.